I’m just starting a new manuscript, which is a stage that involves much brainstorming. For me, that involves a lot of good old-fashioned pen and paper. I scrawl out lists and charts and random circled notes. And then I re-think things and want to change them. Which is where – in the past – things got messy. I would either have to use pencil - which I don't like - so that my scribbles erased nicely, or scratch out what I’d written in pen. Then, I found the perfect solution. 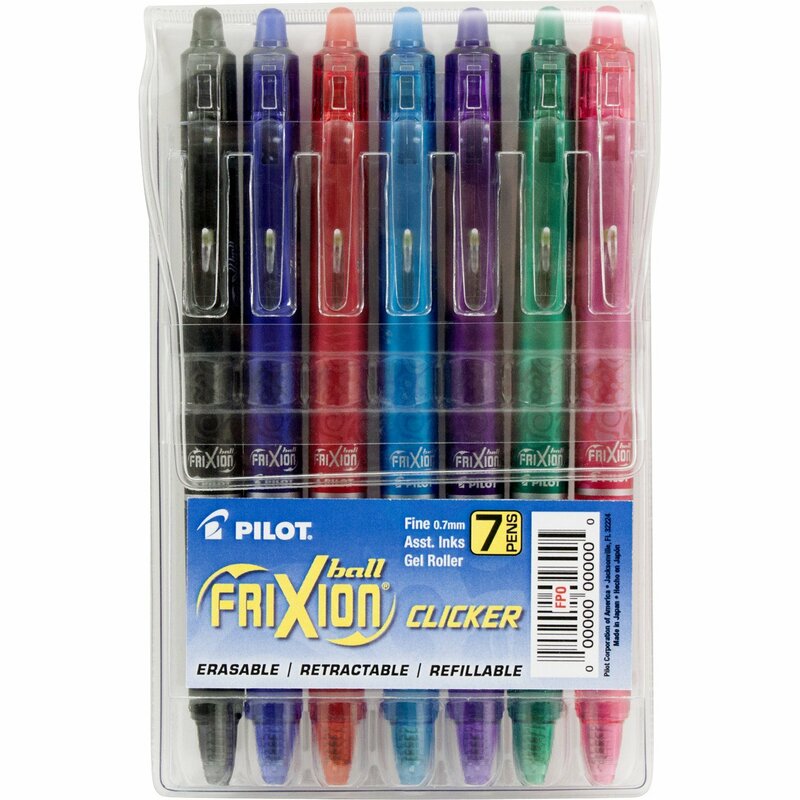 Erasable pens. That actually work! 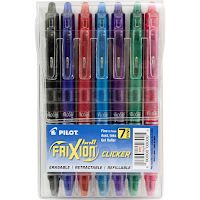 Sure, erasable pens have been around forever, but neither the ink nor the eraser ever really worked right. Then I found these. They actually erase. Completely. And they come in different colors. Now I can easily assign separate colors to different plot points or characters. I can’t tell you how much this has changed my life. I know, this is the point where you’re thinking that I really need to get out more. True. But at least while I’m stuck in my office dreaming up new and creative ways to commit crime, I’ll have the right tools to do it.